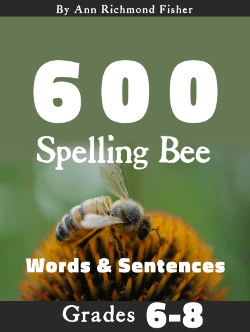 Use a Spelling Bee Certificate to Reward Your Students! 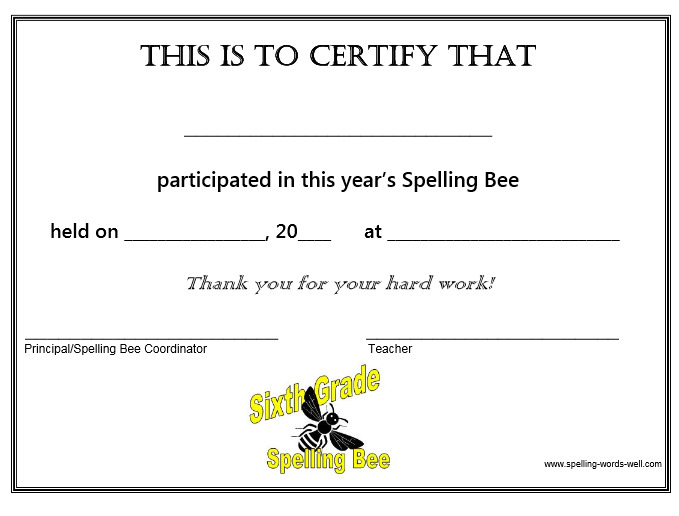 A spelling bee certificate is a great way to recognize students' hard work. It's fun to receive on the day of the big competition, and it makes a lasting memento for years to come. 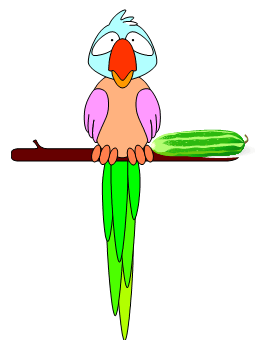 Scroll down to view and print documents for students in grades 3, 4, 5, and 6. 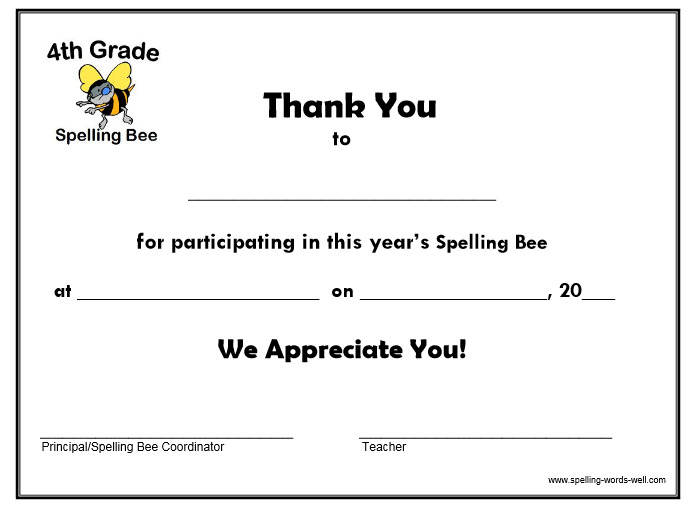 We also have non-graded spelling award certificates. 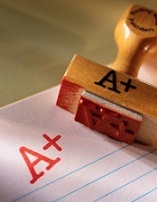 Just choose the grade you need, click on the printable file and print. 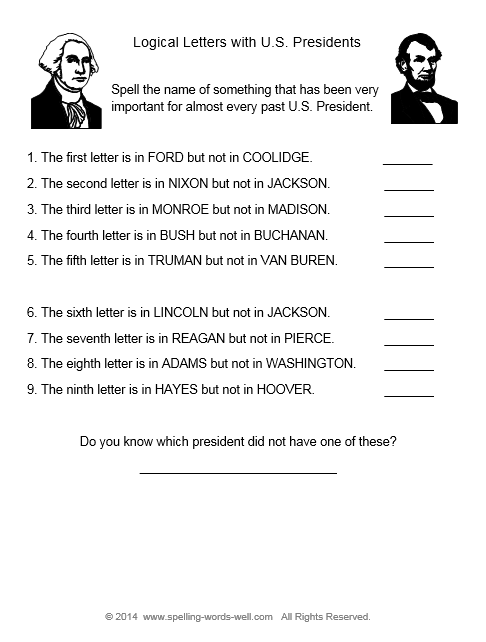 Then fill in the blanks with the correct information. So simple! 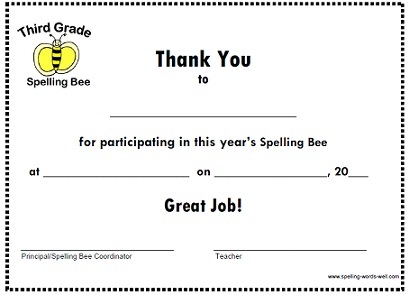 Reward your Third Graders for a job well done with this age-appropriate certificate. 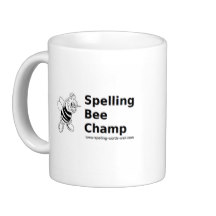 We've designed a whimsical mug, found at our SpellingWordsWell store on Zazzle, which also makes a great reward! You'll also find other mug designs, buttons and T-shirts. 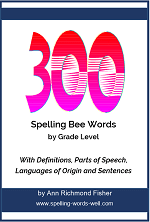 Fifth Graders will be glad to receive this document, marking their part in this year's spelling bee. 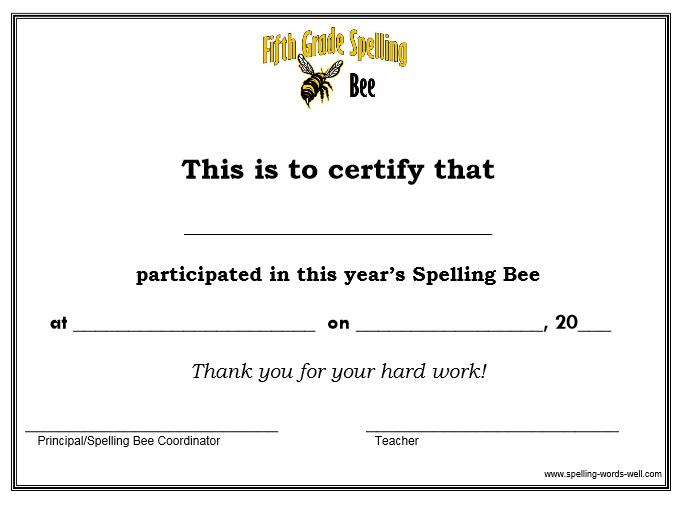 Recognize the hard work of Sixth Grade Spellers with this award. For best results, print each certificate on heavy paper. Use a ball-point ink pen to complete the information for each student.